Australia is one of the most popular destinations in the world for migrants. Not only does it offer a better quality of life than most countries due it’s relatively low population density and low pollution levels, but it also has the highest minimum wage levels of any country in the world. Skilled Migrants can find a vast array of job opportunities in Australia and can also benefit from one of the most efficient health-care systems you will find anywhere. It is for these reasons that visa applications are so carefully scrutinized by Australian authorities. Not just anyone can apply for residency to Australia. You have to be able to prove you can contribute to the economy in some way. Who can apply for permanent residency? If you’ve been living and working in Australia under a temporary visa, then you may be able to apply for permanent residency (PR). How long you will have to wait to apply will depend on what visa you’re currently on, but generally, if you’ve lived for two years in a Specified Regional Area and worked in that same area for at least one year, you should be able to apply for PR. As a permanent resident of Australia, you will be awarded all the civil/legal rights of someone who was born in the country and may also travel on an Australian passport. Are several Visas you can apply for and nearly all of them require you to be sponsored or approved by an Australian employer that has been authorized to do so. If you currently hold an occupation that is on Australia’s skilled occupations list, then you can apply for a Skilled Nominated Visa. 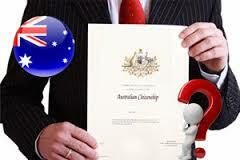 Other skilled workers may apply for Skilled Based Permanent Australian Residency. If you’ve established your own business in Australia or want to expand an existing business into Australia, you can apply for a Business Talent or Business Innovation Visa. However, you will need to show documents that prove your business is legitimate and that you’re making sufficient annual turnover. If you’re not able to apply for any of the Visas above for any reason, you may be awarded PR through the Regional Sponsored Migration Scheme. This is for skilled workers who want to work in regional Australia and is slightly easier to obtain than other skills based Visas as it is designed to encourage migrants looking to work in more regional areas. You will still need to be sponsored by your employer, however.